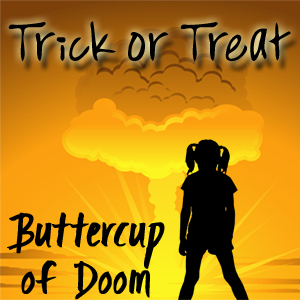 Episode 12: Trick or Treat, aka The Kitchen Sink… as I cover all the little stuff not previously mentioned or big enough for a show of its own. From the history of Trick or Treating, “fun size” candy, and haunted houses, to decorations, traditions, and my refusal to mention the X(mas) word, making a strange “mmm-hmm” noise throughout whenever it intruded on my holiday (and later editing those mouth bleeps for real bleeps because well, they sounded horrible). Everything. Trick or Treating… tricks and treats, highs and lows, this one covers a LOT of ground. You’re moving to the coast next year, right? As long as my kid doesn’t get knocked up I am! If she has one on the way I don’t think I can move right away. I don’t belive Christmas decoration should go up until after Remembrance day. At our house they normally don’t go up till December 1st. The only exception is the lights that get put on the house. We try to do that sometime in November before it snows, but they don’t get plugged in till December 1.
oh i like that… put them up but don’t plug them in. nice. we always waited until after my brother’s birthday (poor december baby) to decorate. and took everything down before the next brother’s birthday (january baby)!